There are two types of breaks you can add to your schedule: a company move or a banner break. 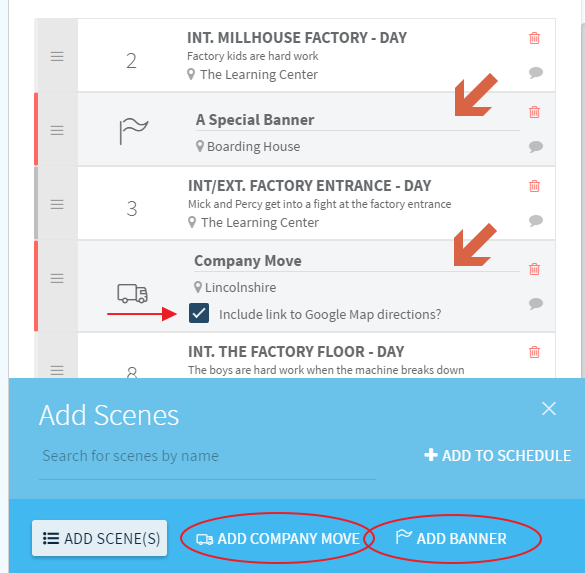 To insert a company move just click the "Add Company Move" button in the blue "Add Scene" box. You can then drag and drop your company move whever it needs to go in the scene order. You can also include a link for Google Maps directions to the new loction if you choose. To add a banner break you simply click "Add Banner" instead of company move. Please note that you can not add directions to a banner break. Once your company move or banner break has been added you will need to complete the details and view it on the call sheet. 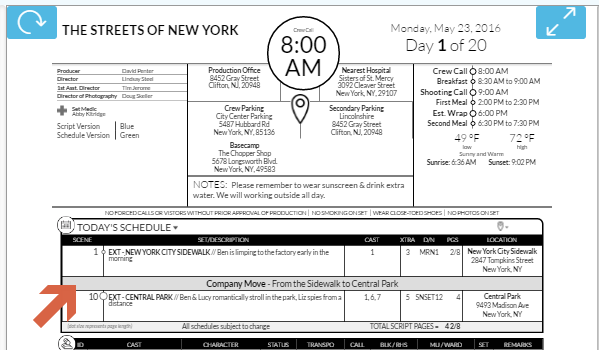 It will appear in the "Today's Schedule" section on the front of the call sheet.